Being an entrepreneur is one of the most rewarding paths in life. It’s also one of the hardest. If you’re an entrepreneur, we bet you’ll agree that it’s a lot like a rollercoaster: the highs are thrilling and exhilarating, while the lows are terrifying and can make you want to lose your lunch. But as any seasoned rollercoaster rider knows, you can’t have one without the other. So how can you get through those inevitable tough times? We’ll explore what causes them, learn techniques for getting through them, and reveal a few real-life disaster stories of some of the most well-known entrepreneurs of our time. 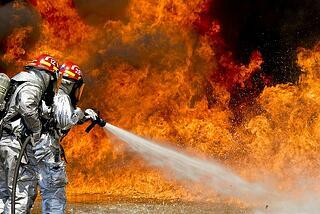 In fact, Ignite Spot CEO Eddy Hood’s very literal experience with putting out fires started at the ripe age of 12. Watch the video above to hear it—you’ll crack up! Anyway, it’s true that entrepreneurs are tasked with extinguishing the blazes left behind by everyone else. But have you ever stopped to consider that maybe it’s you who’s fueling the fire? As business owners, we’re often guilty of throwing gas on the metaphorical flame. Worrying about situations that are out of our control. Obsessively checking our email. Making up worst-case scenarios in our heads before we’ve even taken action. If any of these sound familiar, you’re creating a mental tinderbox that’s primed and ready to explode when times get tough. Instead of fueling your own fires, it’s up to you to take action to extinguish them before they paralyze you. Entrepreneur and business expert Tony Robbins has spoken extensively on weathering tough times, and lays out the following three-step framework for getting through them. It all comes down to changing three things. Science has shown repeatedly that we have the power to influence our feelings simply by changing our body language. Stand up tall, take deep breaths, and physically remove yourself from your office. Instead of sulking at your desk, worrying about what could go wrong, make moves—literally—to change things. Take a potential new client to lunch, hold an interview with a job candidate, or call a supportive friend. Instead of focusing on the problem, analyzing it from every angle, focus on something else. Anything else. You might spend time tinkering with your product, focusing on ways to improve it. You might focus on teaching one of your employees a new job skill. You might even scrap work altogether and focus on your golf swing. Whatever you do, give your mind a break from the problem. Change the language you’re using in your own head. We all talk to ourselves in our heads, and that inner dialogue has a very real impact on what actually transpires in our lives. Thus, you must stop saying things like I’m ruined or I don’t know how to handle this problem. Instead, change your inner dialogue to say I’m smart. I can figure out a way to solve this problem using the resources I have. When something is wrong in your business, the biggest problem is usually your own head. Sure, everyone has problems, but most of the time we only hear about smashing success stories. We wanted to show you that in fact, some of the most successful entrepreneurs have experienced failures that would have caused most others to give up. 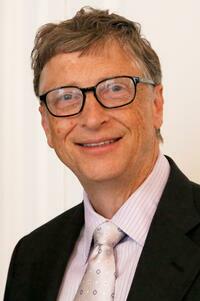 We begin with the guy who’s currently the richest on the planet: none other than Bill Gates. Everyone knows the name Microsoft, but have you ever heard of Traf-O-Data? Probably not, because it was a miserable failure. Traf-O-Data was Gates’ first company with partner Paul Allen. The pair designed an automatic traffic counter meant to record passing cars on the highway. During their big break—a presentation before the City of Seattle—the machine didn’t work. Shortly thereafter, the entire state of Washington decided to offer traffic counting services to all of its cities for free, making the market for their product obsolete. Many of us would have given up hope for an entrepreneurial future. It wouldn’t have been surprising; this all happened before Gates even graduated high school. But he pressed on, and went on to found the world’s largest PC software company. 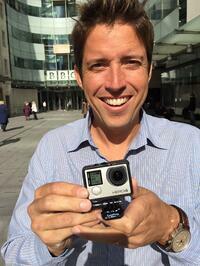 You may not know Nick Woodman’s name, but you surely know his product: the GoPro camera. Woodman was a surfer first, an entrepreneur second. His success with GoPro came after two failed startups, during the second of which he lost $4 million of investor funding. That would be enough to make even the most resilient of us bury our heads in the sand, but Woodman changed his focus, went on an extended surf trip, and reportedly returned with his best idea yet: a camera with a wrist strap that would help surfers capture photos while they rode the waves. Finally, one of the most well-known faces in the world: Oprah. Her early life was incredibly challenging by anyone’s standards. She was born to a poor, single teenage mother, abused as a child, and was told by early bosses that she’d never have a successful career in television. Oprah never stopped moving, though, climbing the ranks through local television stations and finally, being named host of A.M. Chicago. 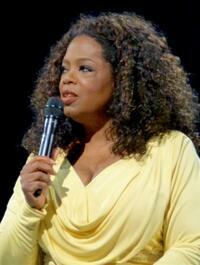 The show would later be renamed to something that sounds a lot more familiar: The Oprah Winfrey Show. Now those are some stories of real hard times. If those three massively successful individuals can overcome such adversity, surely you can weather whatever storm your business is experiencing. Tell us in the comments: what are you doing to get out of your own mental funk? 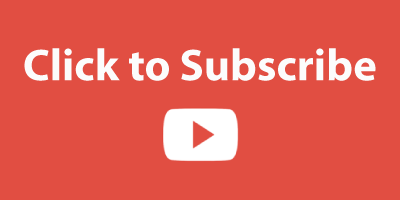 For more resources on overcoming entrepreneurial challenges, subscribe to our YouTube channel and never miss a video! Watch as Tony Robbins speaks with Oprah about weathering tough times in life.